Sonos Introduces PLAYBASE - An Off The Wall Approach to TV Sound PLAYBASE slides the best of Sonos underneath your TV, delivering powerful home theater sound when the TV is on, and music all the time when it's off. 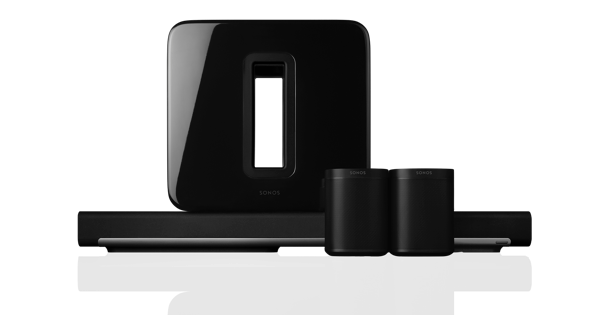 Santa Barbara, California – March 7, 2017 – Today, Sonos announced PLAYBASE, the latest addition to its wireless home sound system and the newest speaker in their home theater lineup. 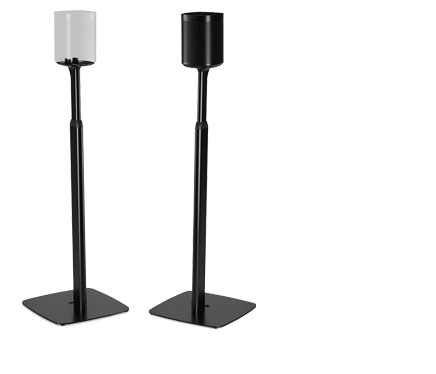 Inspired by the simple insight that up to 70% of all TVs stand on furniture and are not mounted to the wall, PLAYBASE is a thin, yet powerful speaker that sits discreetly under the TV. Priced at $699 US and available in both black and white, PLAYBASE will be available globally starting on April 4, 2017. At just 58 mm in height and packing 10 drivers, PLAYBASE offers everything you’d expect from a Sonos speaker – great sound when the TV is on and music all the time when it’s off. It was designed to disappear into the home. Appearing as if it was cut from a single piece of granite, it challenges conventional expectations of sound from a thin speaker. The construction comes together with no visible seams resulting in incredibly clean lines, an ultra-flat top surface, and more than 43,000 holes that make up an acoustically transparent grill. PLAYBASE was built from the ground-up by Sonos with unique manufacturing processes and materials to meet the level of quality Sonos stands by, including a complex insert molding process and a custom-designed glass-filled polycarbonate exterior to keep vibration to a minimum and withstand the weight of a TV for years to come. "When we think about what product we’ll invent next, we think first about the home, and the role each of our products play in the home. What we realized is that PLAYBAR only met the need of the small percentage of homes where people mount their televisions on the wall," said Sonos CEO, Patrick Spence. "We saw a tremendous opportunity to deliver great sound in great style for the majority of homes where the TV sits on a piece of furniture. It was a huge challenge where we pushed the boundaries of design, acoustics, materials, wireless and software, and we can’t wait for people to bring it home." Designed for TVs that aren’t wall-mounted, PLAYBASE is easy to control and set-up using just two cords (optical and power). 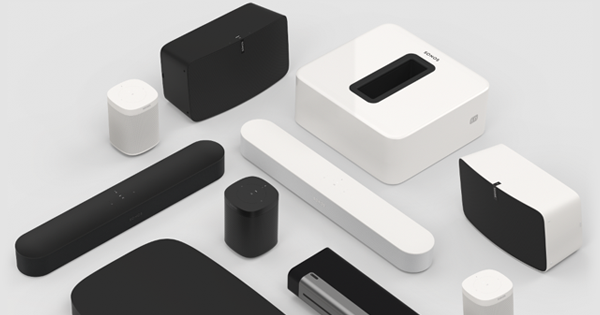 It expands to other rooms when wirelessly connected to your Sonos home sound system, and is equal parts TV speaker and music speaker, with access to more than 80 music services. Later this year, like every other Sonos speaker, you’ll soon be able to control PLAYBASE using your voice and any Amazon Alexa enabled device. PLAYBASE and PLAYBAR are Sonos for your TV space, allowing listeners to choose the best set-up to fit any room. "We have built a product that can not only handle the complexities of home theater – delivering open and natural sound, clear dialogue, and immersive bass that fills the room – but also fits perfectly in any home environment,” said Giles Martin, Sound Experience Leader at Sonos. "The challenge with PLAYBASE was upholding the desire for it to be beautiful from all angles without compromising any of our design, acoustics or engineering principles. We were obsessive in our approach and decisions, resisting every urge to pack anything in here that wasn’t needed, and custom built everything else to find the perfect fit - it’s our thinnest, most beautiful speaker yet." Through a unique balance of hardware and software, all of PLAYBASE’s 10 custom-designed drivers with dedicated amplifiers – six mid-range, three tweeters, and one woofer – are powered by software to precisely control the sound coming from each transducer. The result is a sound stage much wider than the speaker itself. With software, we’re also able to deliver flexible control experiences – whether with your TV remote, Sonos app, or select partner apps—and add new features over time. This includes Trueplay, recently available for Sonos’ home theater products, which adjusts the sound of PLAYBASE to the specifics of any particular room. In addition, Dialogue Enhancement and Night Mode, both options within the Sonos App, allow for enhanced vocal clarity or toned down bass for loud action scenes. Starting today, current Sonos owners have access to an exclusive pre-order of PLAYBASE on Sonos.com.